August 24th in Premium Themes, Theme Bundles by Wordpress Jedi . 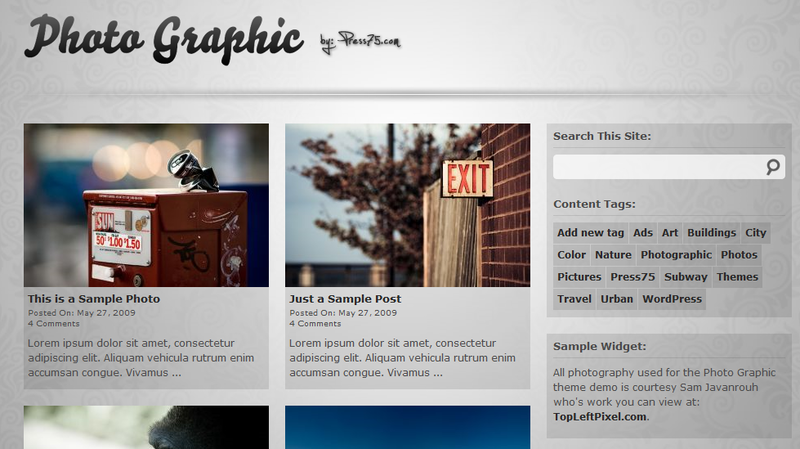 Photo Graphic: a very flexible portfolio website that lets you share your artwork with your visitors easily. Very well designed and easy to use. 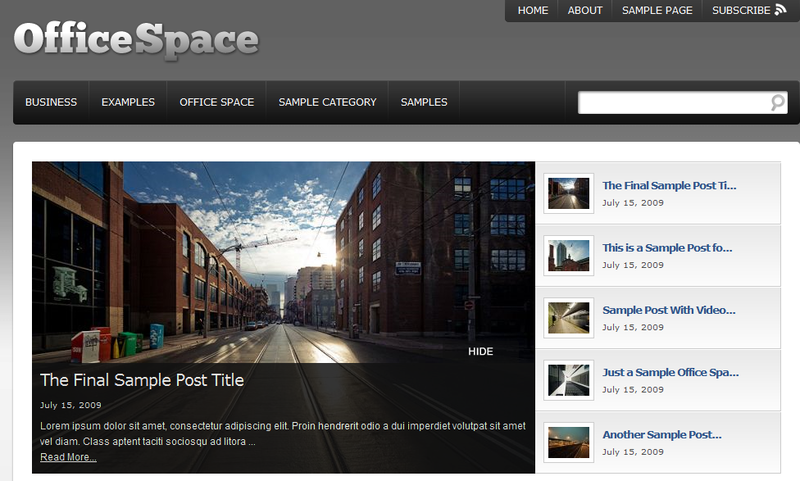 Office Space: a very well designed WordPress theme that lets you create your corporate website fast. It’s very dynamic, and you can add your images easily to this website. 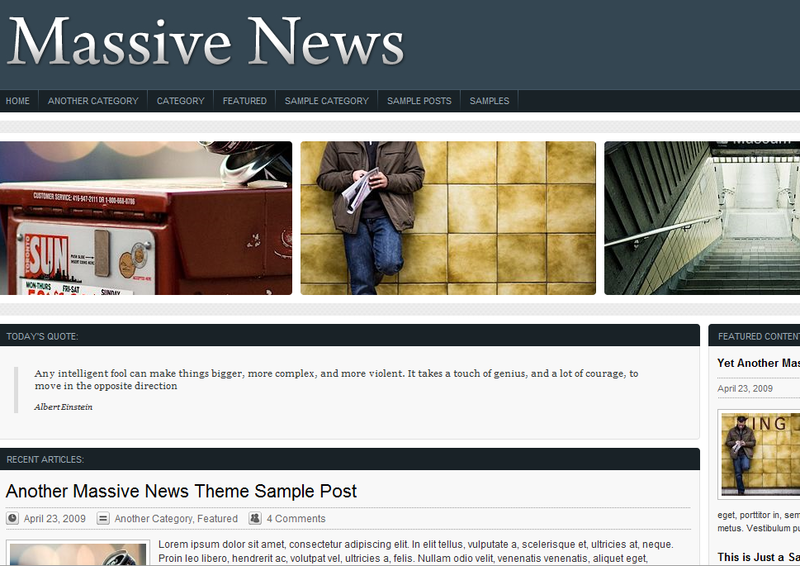 Massive News: a theme that I am currently using on many of my websites. It’s very easy to customize and makes it truly easy to tackle all kinds of websites with one shot. Whether you want to create a portfolio, a technology portal, or just a blog, Massive News lets you do that. 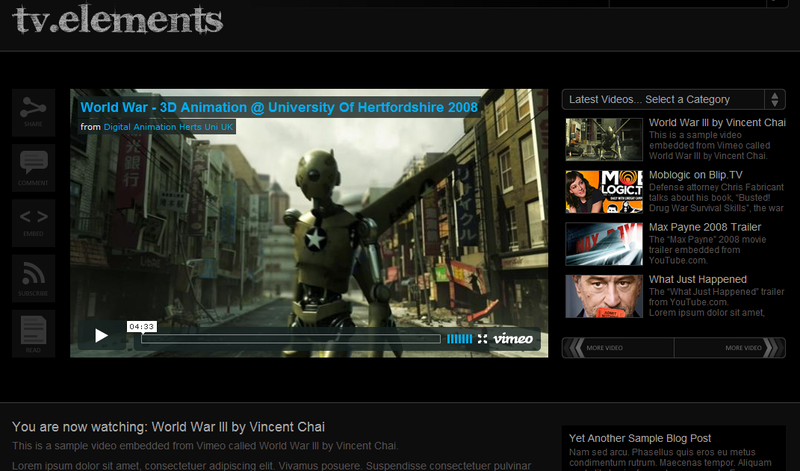 TV.Elements: a great video blogging theme that makes it so easy to start your own web show. It comes with two color themes, and it is so easy to customize. Your visitors can grab your videos and share them easily when you use this theme for your vlog. 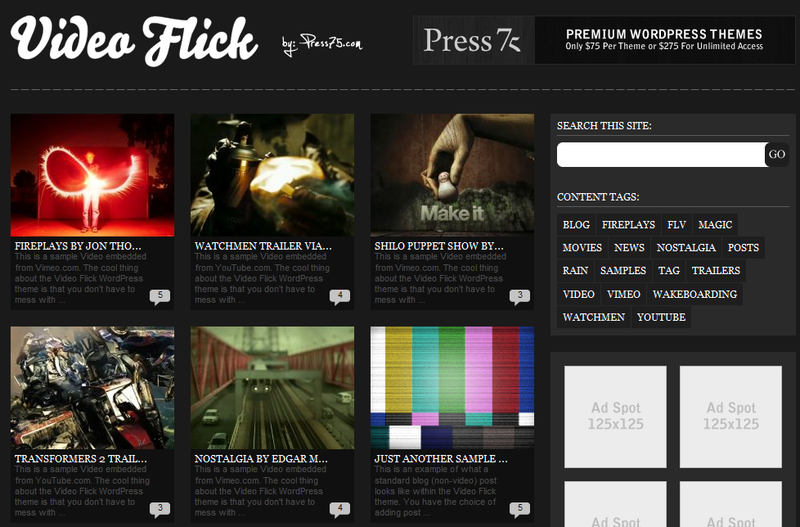 VideoFlick 2.0: a wonderful theme (perhaps the best on the list), that makes it so easy to start your own movie trailer/review website. It’s ad ready and is interactive as well. 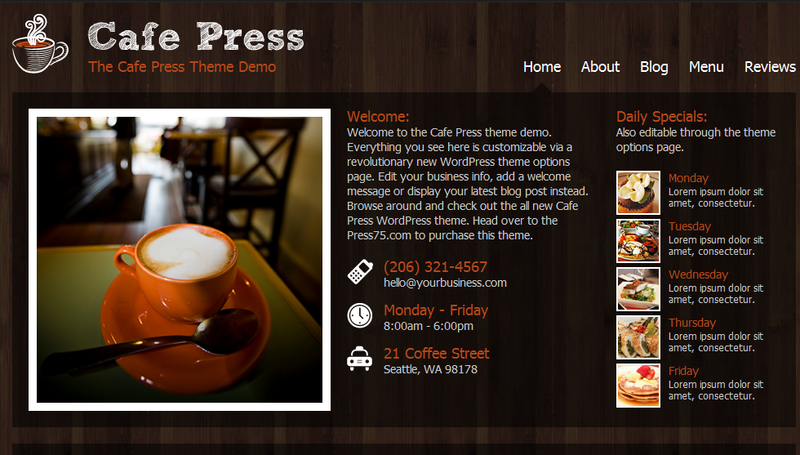 CafePress: a truly unique WordPress theme designed for small businesses such as Cafe Shops. Makes it so easy to build a website for your offline business. It could be a business changer if you have the right online strategy. There are a few other Press75 themes that you can pick up for your WordPress portal. But the above are the ones I have been using on a consistent basis. If you are looking for a cool set of premium WordPress themes, you shouldn’t look farther than Press75’s themes.